Born into a musical family in Schenectady, New York, Gregg August was drawn to the drums at an early age, but was persuaded by his father to first learn the piano. His aunt, noted jazz pianist, Peg Delaney was his first teacher. Her husband Bill played upright bass and Gregg's father, Ed, also played the piano professionally. The very first jam sessions August ever experienced were at family functions. When he was ten, Gregg was finally allowed to study drums. He then picked up the electric bass in high school because the school band was lacking a bass player. At SUNY Albany, August studied percussion with Richard Albagli, while also beginning the double bass. After two years he transferred to the Eastman School of Music, where he majored in classical performance and received extensive training in jazz forms with Bill Dobbins and studied composition/ arranging with Rayburn Wright. After earning his Bachelors degree at Eastman, he went on to receive a Masters from Juilliard. It was at this time, August got his first taste of playing the New York City jazz sceneÜinterrupted only when he won a principal bass position in La Orquesta Ciutat de Barcelona, Spain. After two seasons in Barcelona, he moved to Paris to freelance as a jazz musician, playing with notables such as Jean Toussaint among others. After Paris, August moved back to New York-this time with a growing interest in latin music, which eventually led him to visit Cuba. The music he heard there, particularly changi, made a striking impression on him. Soon after returning to the States, he joined Ray Barretto's New World Spirit and recorded on the CD TranceDance which features James Moody. In 2002 he toured Europe as a member of Ray Vega's Latin Jazz Sextet and is featured on Vega's CD Squeeze Squeeze as a player and the composer of Crescent Mood. August has since become a recognizable presence on the New York jazz scene: collaborating with such notables as Barretto, Vega and Paquito D'Rivera, as well as others such as saxophonist Steve Wilson and Chico O'Farrill's Afro Cuban Big Band. In 2002 he was commissioned by the U.S Marine Band to do a big band arrangement of Eddie Palmieri's Palmas. He keeps in touch with his classical roots and performs often with various New York City Orchestras: The Orpheus Chamber Orchestra; Orchestra of St. Luke; American Composer's Orchestra and The Brooklyn Philharmonic (where he became assistant principal in 2001). He is also a featured performer with the experimental outfit Bang-On-A-Can-All-Stars and lives in Brooklyn with Samba, a very huge white dog. 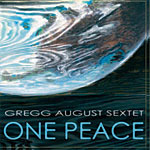 Greg August arrives with a knack for blending the above in way that sets him apart from the crowd of young bandleaders doing business in New York at the start of the millennium. The Caribbean informs his sound, as it does the best of the city's modern improvisers. And as he and his Late August squad milk the clave for all it's worth, it becomes clear that a valuable new voice is active among us. All About Jazz musician pages are maintained by musicians, publicists and trusted members like you. Interested? 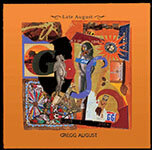 Tell us why you would like to improve the Gregg August musician page.